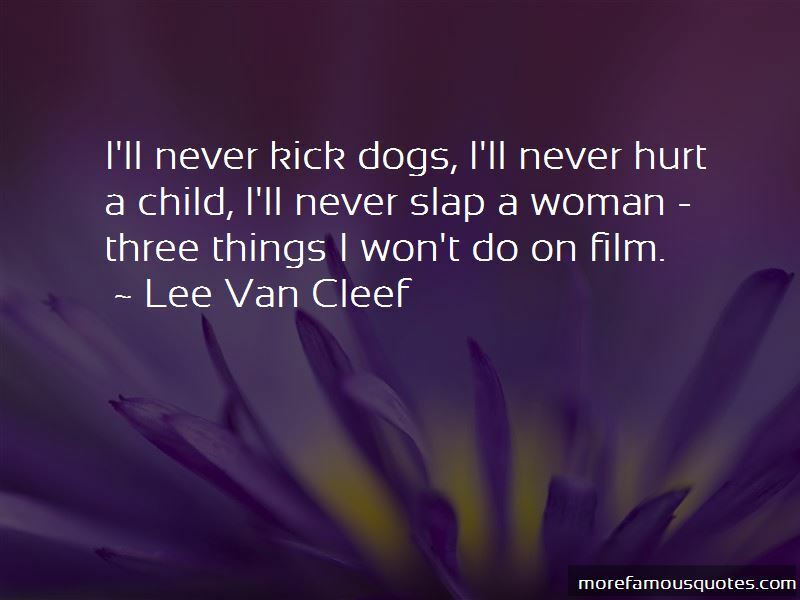 Enjoy the top 12 famous quotes, sayings and quotations by Lee Van Cleef. Audiences just naturally hate me on screen. I could play a role in a tuxedo, and people would think I was rotten. You can do much more with a villain part. Bad guys have always been my bag ... I look mean without even trying. I'd like to do more comedy, but i think my forte is still in the heavy. I'd love to do a comic lead, a musical. I tried to learn the languages - Italian, Spanish, and German - not to successfully. Working on a European set isn't a hell of a lot different from working on an American set. If I could direct it [films] I would be very happy. 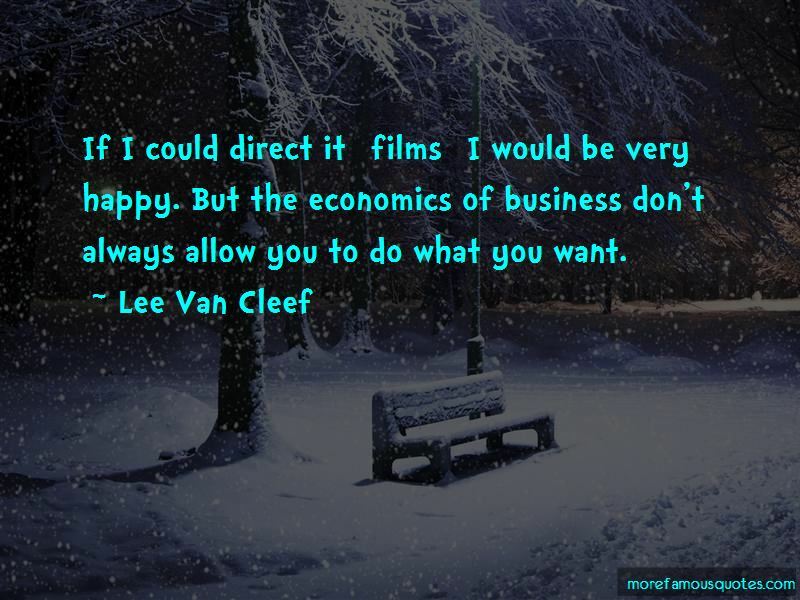 But the economics of business don't always allow you to do what you want. 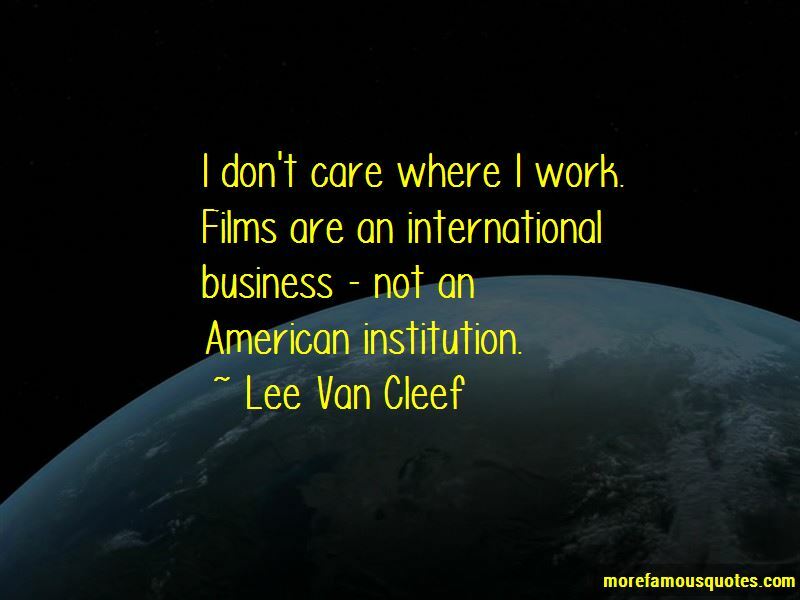 Want to see more pictures of Lee Van Cleef quotes? 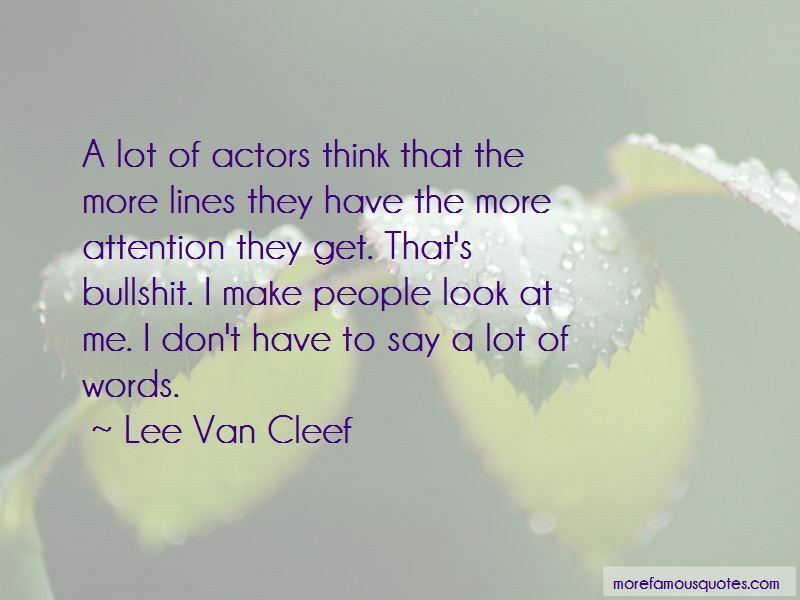 Click on image of Lee Van Cleef quotes to view full size.